This post first appeared on the bookboon.com blog. First, every leader must understand what it means to operate in the Networked Age. 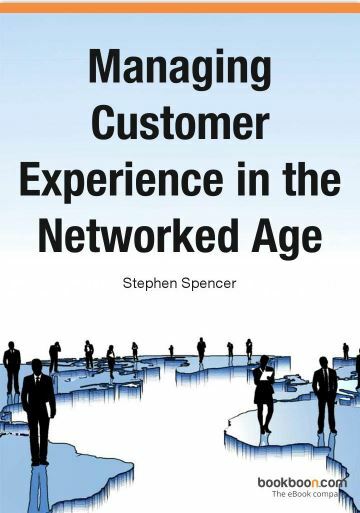 Whereas the Information Age created unprecedented access to information, the Networked Age represents the “customer’s revenge”. Consumers, employees, and stakeholders now create and curate their own world view, and share it, relentlessly and ruthlessly. Being successful in 2017 and beyond will require organisations to understand how the market works in the Networked Age, and to deliver world class, authentic Customer Experiences, consistently. My new eBook, Managing Customer Experience in the Networked Age, is the essential guide to doing this. Putting a world class Customer Experience model at the heart of your business model allows you to make the right decision no matter what the circumstances. The model I use is called STARS: Story – Team – Ambience – Recipients – Systems. Understand the competitive environment in 2017: why the Networked age is different to the Information Age, why traditional marketing is dead, and what are the key components of the Customer Experience? Build and tell your Story, ensuring that it is clear, compelling, coherent, and customer-focused – it’s about adding value to “them” not broadcasting your agenda! Focus, more than ever, on developing your Team: your employees, volunteers and partners are your primary customer group. Easy to overlook, yet vital to success, is the way you make your customers feel. Ambience is about understanding, too, that technology can facilitate great experiences, but it cannot turn a mediocre experience into a great one. In the Networked Age, every Recipient of your brand experience can potentially become a valuable asset. So, you must become adept at nurturing the Network to maximise intelligence, reputation, and revenue. Systems: “A bad system will beat a good person every time” (W. Edwards Deming, Total Quality Management). It’s essential that systems and processes are aligned to create, underpin, and develop your Customer Experience. Finally, building sustainable competitive advantage isn’t a one-time challenge. It’s a continuous process – a constant evaluation of the quality and consistency of your Customer Experience and the impact it is having on an increasingly volatile and unpredictable market. In simple, customers are people; and your most important customers are your own people – the people that you employ to deliver your brand experience, consistently and with genuine passion. To win in the Networked Age, do like Walt Disney: simply strive to “make people happy”. Do that, and your Network, and your organisation, will thrive. ‘Customer Experience isn’t simply the quality and arrangement of assets. It’s their orchestration’.